My name is Natalya Jagger and in June 2006 I joined the Brain Tumour community when my best friend Andrew's daughter, Rose, was diagnosed with a Glioblastoma Multiforme - a Grade 4 (IV) Brain Tumour. Like many people who are thrown into this world I had a need for information and answers to so many different questions. I spent hours trawling the internet to find anything I could that might help and joined various online brain tumour groups in the hope that others would be able to offer answers to my questions and share their experiences. I was touched by the closeness that many of these groups have and the overwhelming feeling of hope that they give to all those who join. However, the biggest thing I was struck by was the lack of information for high grade brain tumour patients in the UK. I became increasingly frustrated when I had to sift through information from the USA to work out which bits were relevant to us here in the UK and often thought there must be a better way. When Rose passed away I put the information I had collected in a drawer and vowed never to look at it again, but, somebody somewhere had other ideas. Due to my own ill health I found myself with a lot of time on my hands and I decided to take out my folder and start participating in the brain tumour groups I had joined again. This was the start of BT Buddies. 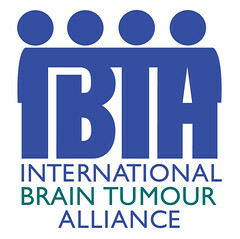 The name Brain Tumour (BT) Buddies came from the fundraising Rose's father and I were doing in Rose's memory. We had decided to call our fundraising 'arm' RoseBuddies and it seemed right to keep a connection between the two by calling this website BT Buddies. The purpose of BT Buddies is to provide as much information as possible in one place on high grade brain tumours for patients, families and caregivers in the UK. As well as the information pages we have a forum area where people can ask questions, get support, share their stories, and more. 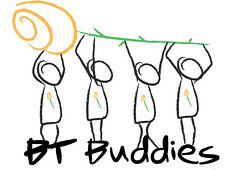 On Monday 10th May 2010, BT Buddies became a national charity. We have grown rapidly over the last 3 years and currently help around 7,000 people per month through our websites, email support service, face to face and online support groups. Moving forward, we will be launching 2 very exciting new projects in 2014 and hope to continue to expand the information and support we provide to all those affected by a high grade brain tumour.